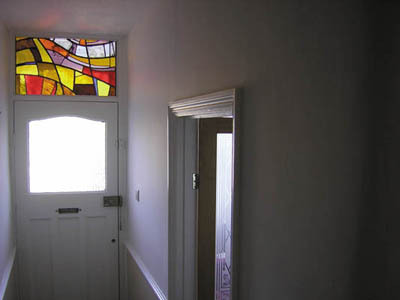 Stained glass panels can be fit in windows, door panels, skylights or internal screens. Alternatively lightboxes can be custom-built to hang on a wall to add light to windowless rooms or corridors. All ideas are welcomed and you're free to use your own or my imagination.